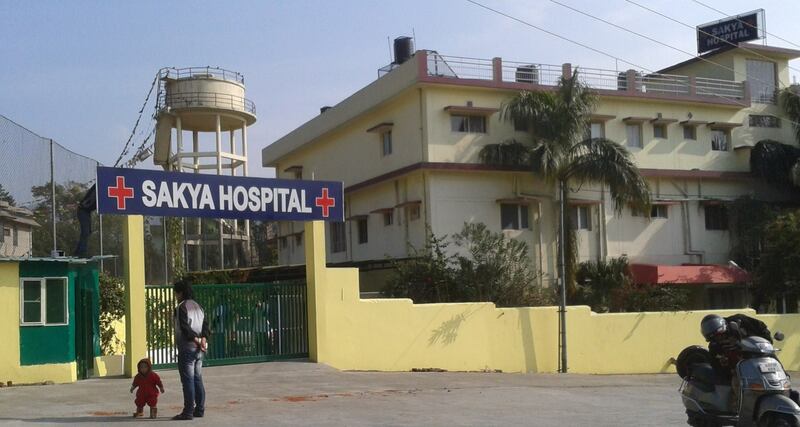 The Sakya Hospital was established in the year 2000 as a social undertaking of the Sakya Centre. Keeping in mind the fine pledges in the Tibetan Delek Hospital mission statement, we at Sakya Hospital have borrowed from its goodness in order to frame our own. We feel that having such a mission statement will direct us towards a higher, more selfless goal for the greater good by serving as a guiding principle for us as we serve the community. “We at the Sakya Hospital aim to provide affordable healthcare to the best of our abilities and resources, to each and everyone who approaches us regardless of their race, or religion, their social or financial status. Staff members should bear this mission statement in mind everyday of their work at the hospital, and let it become a part of their work ethic to look past social barriers and instead incorporate politeness, respect, patience and compassion into their service. It is imperative that staff members take this mission statement to heart while they are at work. *Pharmacy *Pathplogy collection * Inpatient facilities * Digital X-ray * Physiotherapy *Ambulance *labor Room * Operation Theatre * Ananda Home- a palliative care department. • On the occasion of H.H. The Dalai Lama’s 80th birthday we started palliative care department “ Ananda Home” at Sakya Hospital Ananda Home is the extension of that sincere initiative to serve patients who are terminally ill with compassion and care like Lord Buddha’s attendant, Ananda , who inspired the name for the palliative department. it is hoped Ananda Home will bring much needed joy and comfort to the patients through its service in the last days of their life. • On the special occasions Sakya Hospital conducts free consultation to all the patients.  -We conducted free medical checkup to the members of Aasra trust ( Aasra is a NGO who work for education and empowerment of street and slum children).  -We conducted free eye checkup to Saheli. (Saheli is NGO woking for the betterment of women and children).  -We conducted free medical checkup to slum school.  -We conducted free medical checkup to the members of OLD People’s Home.  -We have also visited various settlements for medical checkup and health talks.  -We also give free vaccination to monks and nuns.  -We also visit important places for cleanup and donate dust bins.  -We conduct free blood camps.  -We also organize free workshop on first aid and natural disaster preparedness.  We also take care of poor sick animals. Medical Items: Digital Thermometers, Digital Blood Pressure Machines. Non Medical Items: Electric head shavers (because small monks have many fungal head infections spread through use of common razors), Educational Videos (to show the public for awareness on health etc. ), Portable Media Equipment (to show videos and programs in our hospital and in surrounding areas during health camps), Polaroid Camera (for taking immediate photos: not urgent, but might be useful!). Vaccinations: Helping us to provide vaccinations to monks, nuns or students, disabled children etc. Free Health Camps: Sponsoring a health camp for elderly citizens (might include providing a free blood pressure check, blood sugar check, and E.C.G. ), or a dental camp for disabled children etc. General Hospital expenses: Helping to pay for doctor salaries, renovations, water and electricity bills etc. Medical Assistance: Helping to pay for the expensive medical treatments of patients who are unable to afford it. Monetary contribution to the Sakya hospital: please go to our donation page.